The MC-21, Russia’s advanced narrow-body airliner programme, remains under the close supervision of the country’s government, which is also continuing to contribute sponsorship funds directly from the federal budget. The latest allocation of state funds authorised by government decree and which came into effect on February 6, is in line with the government’s aim to support Russia’s emerging aerospace industry in the period between 2013 and 2025. It provides for a total of 10.5 billion roubles (US$160 million) of state subsidies within the next three years for the MC-21. This year’s injection of 1.6 billion roubles, plus a further 4.11 billion in 2020 and 4.81 billion in 2021, will cover up to 90 per cent of the manufacturer’s production, sales and after-sales support costs, as well as 90 per cent of interest payments on loans associated with the programme. Also eligible are the costs of flight simulators, ground-handling equipment and spare parts inventories. Aeroflot, the new aircraft’s launch customer, has already placed an order for 50 MC-21-300s, in a deal approved by the majority of the airline’s shareholders in the summer of 2018. With the first of these deliveries scheduled for the first quarter of 2020, there is no explanation of how a programme delay – indirectly suggested by Borisov (‘certification tests are scheduled to complete in the second half of 2020’) – may affect the national carrier’s plans. 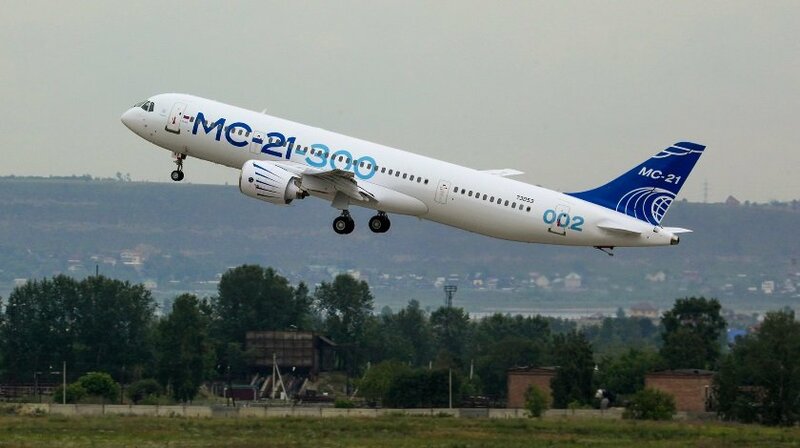 According to a report published in the autumn of 2018 by Russia’s Audit Chamber, a total sum of 158 billion roubles has already been allocated to the development of the MC-21. Up to 2025, the total cost of the programme is now estimated at 437.4 billion roubles and may increase even further.